Break away header, 0.1" pitch, 40 pin, male, gold, vertical, through hole. These wire wrap pins (0.64mm square) are very strong and fit all standard solderless and solder-in breadboards. 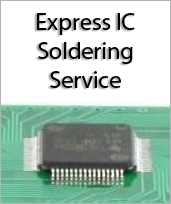 They are the recommended pin type to use for prototypes that will be repeatedly plugged and unplugged. 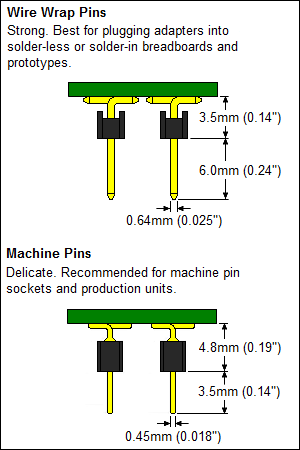 For production boards and DIP package replacement, where a smaller pin diameter is required, we recommend using our machine pin headers (0.45mm round) instead.